RESOLUTE BAY, NU, Aug. 10, 2017 /CNW/ - Qausuittuq National Park, composed of a cluster of islands in the High Arctic has been a significant historical site for Inuit dating back 4,500 years. The National Park is a traditional hunting and fishing area that has sustained Inuit of Resolute Bay in the recent past. National parks represent the very best that Canada has to offer and tell stories of who we are, including the history, cultures and contributions of Inuit Peoples. Today, the Minister of Environment and Climate Change and Minister responsible for Parks Canada, Catherine McKenna, along with P.J. Akeeagok, President of the Qikiqtani Inuit Association (QIA), officially opened Qausuittuq National Park at a ceremony held in the community of Qausuittuq/Resolute Bay. The Inuit Impact Benefit Agreement between the Government of Canada and the Qikiqtani Inuit Association ensures that Inuit in the region and the community of Qausuittuq/Resolute Bay benefit from the creation of this park today and in the future. With its rolling hills, marshy wetlands, low level plateaus and rich marine areas, Qausuittuq National Park was created to protect the area's irreplaceable natural and cultural heritage. 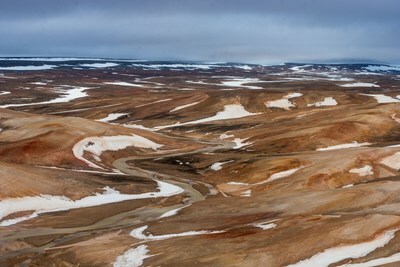 Despite its proximity to water, Qausuittuq National Park is a Polar Desert. Although it is one of the harshest and driest places in the world, a surprising number of wildlife have adapted to this particular environment. Formally protected under the Canada National Parks Act in 2015, Qausuittuq National Park represents the combined efforts of Inuit, the Government of Canada and the Government of Nunavut to protect this treasured place. Qausuittuq National Park is managed cooperatively with Inuit through the Qausuittuq Park Management Committee. Qausuittuq National Park on Tuktusiurvik/Bathurst Island is part of the Kuin Ilisapiup Qikiqtangit/Queen Elizabeth group of islands, located to the north of Canada's Northwest Passage. Parks Canada's goal is to establish a system of national parks that represents each of Canada's 39 distinct natural regions. Representing the Western High Arctic Natural Region of Canada, Qausuittuq National Park protects key wildlife habitat and migration routes, including the calving and wintering grounds of the endangered Peary caribou, as well as habitat for muskoxen, arctic wolf, arctic fox, collared lemming and arctic hare. This rich and awe-inspiring environment is one that has sustained Inuit for thousands of years and continues to be essential for the maintenance of Inuit lifestyles. Canada's network of protected areas have an important role to play in helping to mitigate the impacts of climate change by protecting and restoring healthy, resilient ecosystems and contributing to the recovery of species at risk. Parks Canada is committed to developing a system of national heritage places that recognizes the role of Inuit Peoples in Canada and in the traditional use of these special places. "I am honoured to officially open Qausuittuq National Park. This newly protected area provides a unique opportunity for Canadians and people from around the world to experience the beauty of the Tuktusiurvik/Bathurst Island region, and to share in the stories of its peoples. It is even more important this area is protected as it is intimately tied to the vibrant culture and traditions of Inuit. On behalf of the Government of Canada, I am grateful to all those who have played a role in the creation of Canada's 45th national park. 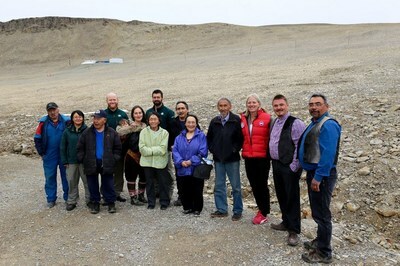 Through the close partnership between the Government of Canada, the Qikiqtani Inuit Association, the community of Qausuittuq/Resolute Bay, and the Government of Nunavut, Qausuittuq National Park is now protected for the benefit of present and future generations." "Qausuittuq National Park has been an important traditional site for various Inuit communities throughout the ages. The wildlife in this area, including the Peary caribou, have sustained Inuit for thousands of years. This official opening and Qausuittuq's Inuit Impact and Benefit Agreement lay the groundwork for Inuit in the region and the community of Resolute Bay to continue to benefit from this park for generations to come." The name Qausuittuq (pronounced: Qow-soo-ee-tooq) means "place where the sun doesn't rise" in Inuktitut, in reference to the fact that the sun stays below the horizon for several months in the winter at this latitude. Archaeological studies have found evidence of human use on Tuktusiurvik/Bathurst Island dating back 4,500 years including the presence of Pre-Dorset, Dorset, and Thule Inuit cultures in the area. Parks Canada protects a vast network of natural and heritage places that include 46 national parks, 171 national historic sites, four national marine conservation areas and one national urban park. Qausuittuq National Park on Bathurst Island, is part of the Queen Elizabeth group of islands, located north of Canada's Northwest Passage. This national park represents the Western High Arctic Natural Region of Canada's world-class national parks system. Qausuittuq (pronounced: Kow-soo-ee-took) means "place where the sun doesn't rise" in Inuktitut, in reference to the fact that the sun stays below the horizon for several months in the winter at this latitude. The approximately 11,000 square kilometres of Arctic lands and waters protected in Qausuittuq National Park include the northern part of Bathurst Island as well as the Governor General Islands to the west, and smaller islands west and north of Bathurst Island. Seymour Island Migratory Bird Sanctuary is to the north, while the southern boundary of Qausuittuq National Park borders on Polar Bear Pass National Wildlife Area. The national park includes marine areas in May and Young Inlets, and land that rises from the sea in impressive bluffs. Landscape features range from wetlands and lowlands to plateaux, hills and uplands with elevations up to 411 metres. Underlain by sedimentary rocks such as limestone, sandstone and dolomite, the land shows evidence of past glaciations in landforms such as eskers, moraines, and raised beaches. At 76˚ north latitude, Bathurst Island is located in one of the coldest and driest regions in the world with temperatures averaging minus 32˚ C in January and only 5˚ in July. Annual precipitation is less than 130 mm. This severe climate limits soil development and vegetation is sparse. Patches of purple saxifrage, dwarf willow, sedges, grasses, lichens and mosses provide a precious food source for wildlife. In spite of the high latitude and harsh conditions, there is a surprising number of species of wildlife inhabiting the area. Qausuittuq National Park protects key wildlife habitat including travel routes, calving grounds and wintering grounds for the endangered Peary caribou. The park is also a significant area for muskoxen. Other species adapted to this environment include polar bear, arctic wolf, arctic fox, and numerous birds such as snowy owl, snow goose, king eider, jaegers, gulls and shorebirds. Some of the marine species in the area include ringed seal, bearded seal, walrus, bowhead whale, beluga whale, and narwhal. Archaeological studies have found evidence of human use on Bathurst Island dating back 4,500 years. Pre-Dorset, Dorset, and Thule Inuit cultures were present in the area, although most sites are to the south or the east of the national park. Within Qausuittuq National Park, there are several archaeological sites relating to the Late Dorset culture (ca. 500 to 1200 AD) along Bracebridge Inlet. Beginning in 1819, a series of British naval expeditions in search of the Northwest Passage explored in the Bathurst Island area. Later expeditions came searching for HMS Erebus and HMS Terror, Sir John Franklin's ships that disappeared after 1845. Between 1850 and 1854, naval search parties put up cairns and supply depots on the islands north of Bathurst Island, within Qausuittuq National Park, including an impressive cairn on Helena Island. Exploration in the Bathurst Island area continued into the twentieth century. Captain Joseph-Elzéar Bernier led three expeditions between 1906 and 1911 with the goal of establishing Canadian sovereignty over the Arctic islands. Other Canadian government expeditions followed, including RCMP patrols, RCAF magnetic pole research flights; photography over-flights; as well as surveys of wildlife, geology and hydrology. The 1960s and 1970s brought exploratory drilling for oil and gas and minerals to the area. Various research projects continue to this day, many supported by the Polar Continental Shelf Program.